Friné Madrano was raised in Downey. HMG-CN will be publishing periodic profiles of people running for office. Friné is a long-time resident of Downey and graduate of Warren High School. She was born in Southeast Los Angeles and raised in Downey. Frine is also a graduate of California State University, Los Angeles with a Degree in Communications. Frine is the only candidate for Downey City Council in District 3 that graduated from our local schools. At Warren High School, Frine was actively involved in the local drama club and performed in various musical theater productions. Friné has always had a passion for the arts and music and continues to support children and nonprofits across Los Angeles County such as local YMCAs, school arts programs, and small nonprofits to ensure adequate funding. Frine’s commitment to community service and helping others is an important value that she learned early in life from her mother, Teresa. Frine’s mother volunteered her time to various non-profit organizations including being president of a women’s club in the Southeast. In 2006, Frine’s mother influenced her to volunteer on her first political campaign to elect Kevin de Leon to the California State Assembly. Friné has over 10 years of experience in government and works for California State Senate President, Kevin De Leon, as a Senior Field Deputy. She is a respected advisor on key public policy issues such as Education, Healthcare, Women’s issues, Job Creation and Small Business Development. Frine understands how government works and will use this experience and her valuable relationships in Sacramento to fight for more funding for the City of Downey. Frine has the experience to get things done for Downey. 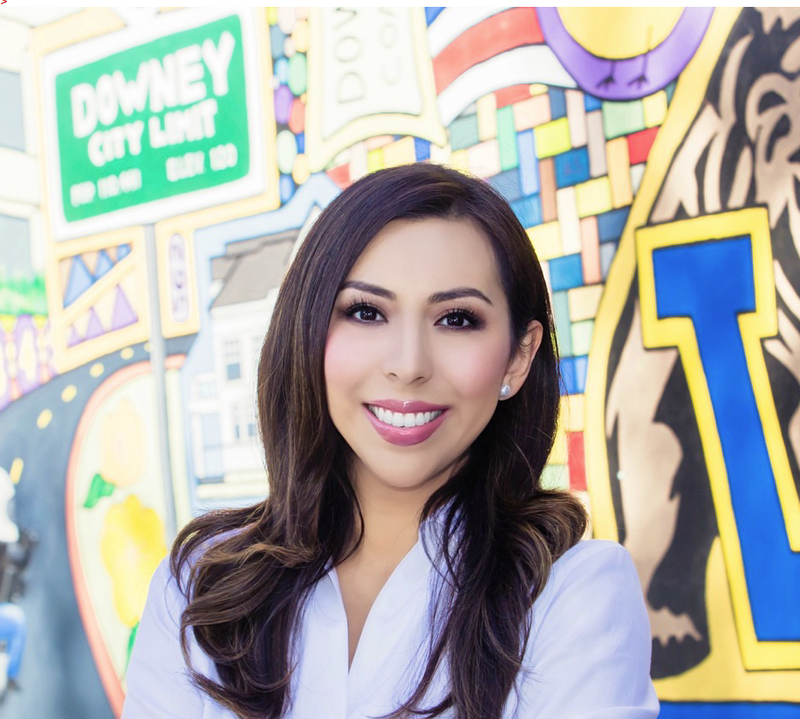 Friné hopes to become the first Latina ever elected to the Downey City Council. Improve City Services, including police and fire service to ensure our residents are safe. Create a “One Stop Business Center” for our local businesses to get support and assistance when dealing with City Hall. Promote balanced economic development, including new commercial and retail projects to increase revenue for our City and provide our residents with world class shopping destinations. Establish a Youth Foundation to provide opportunities for our young people to thrive and prosper.